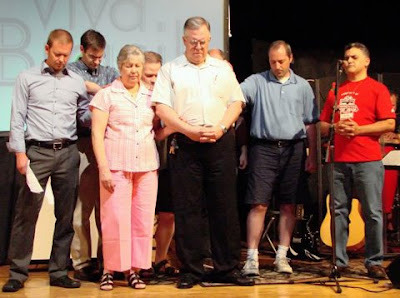 The elders of Grace Community Church, Mississauga, Ontario (Bartley Sawatsky, pastor) have officially commissioned Armando Padovan as Pastor of Brazilian Ministries. The Brazilian community in the Greater Toronto Area has been steadily growing over the last decade and this strategic move of developing a Portguese-language ministry is another step in moving Grace to being Meadowvale’s greatest love source. The Padovans’ older son, Marcio and his family are already members at Grace. For more on the Mississauga ministry, click here.